We have a little indoor/outdoor home weather station that sits on our kitchen counter. It tells us all kinds of neat information like temperature and humidity with great accuracy. It even provides a forecast for the next few hours. 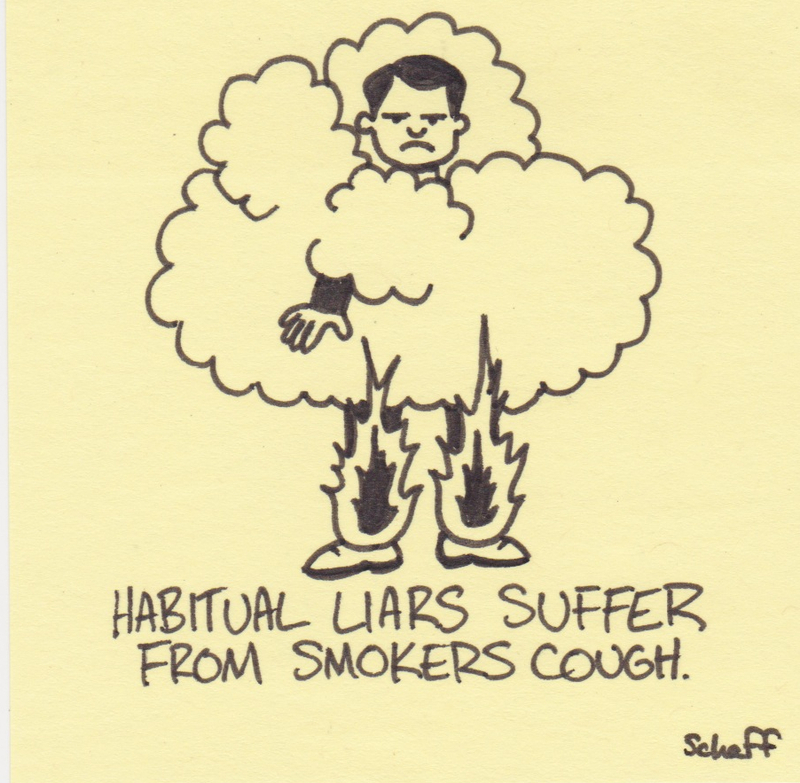 We have found this to be somewhat less accurate. If it predicts sun, we watch for rain. If rain is in the forecast, it’s safe to plan a picnic. Recently it showed partly sunny/partly cloudy/and rain all at the same time. Instead, a snowstorm dropped over a foot of snow on us. These errors may be a result of the fact that the station in still in its 14-day learning mode (as it warns us in large lettering under the weather prediction). Then again, the 14-day learning mode is well into its fourth year. At this point we’re not sure if the weather station is a really slow learner or just a dirty rotten liar. 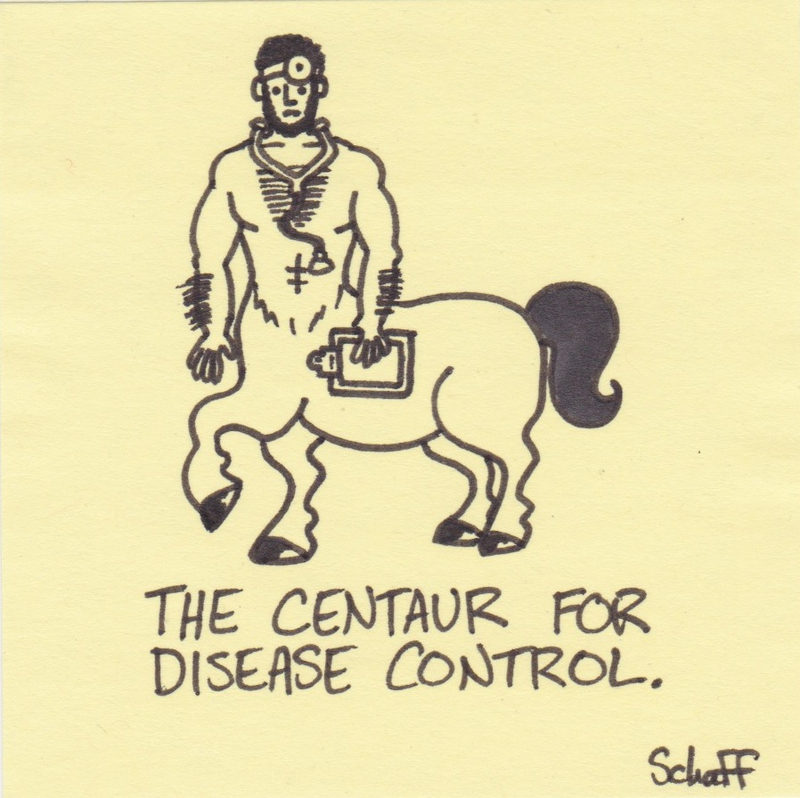 The centaur for disease control. Our youngest recently had his second round of immunizations. He was very brave. With each of our daughters, these early check-ups were terrible. They would cry from the minute we walked into the offices until the moment we left. From 1-2 months onward they feared the doctor, the nurse, and even the receptionist despite the two month intervals between visits. They recognized the faces and remembered that they were connected to painful shots. This is amazing when you consider that babies this young are startled to discover they have feet. You are currently browsing the Inkjot blog archives for April, 2013.